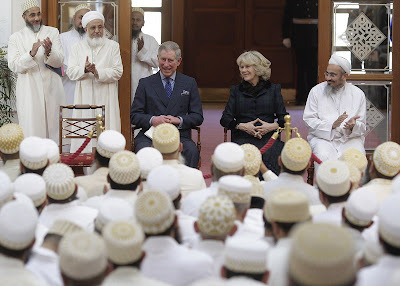 The Prince of Wales and The Duchess of Cornwall visited a Muslim community in London on Wednesday. 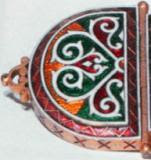 Numbering over a million and settled in over 40 countries, the Shiah Fatemi Ismaili Tayyibi Dawoodi Bohras are a denomination of Islam with a distinct identity, culture and ethos that preserves their Islamic beliefs while aiming to integrate and assimilate with the cultural fabrics of the countries in which they have made their homes. There are over 6,000 Dawoodi Bohras in the UK, mostly from Indian or Yemeni descent. In London, they number more than 3,000, although the Dawoodi Bohra Mosque in North-West London welcomes large numbers of visitors from all over the UK, Europe and the World. The Prince and The Duchess are practising Anglicans. Over the years His Royal Highness has worked tirelessly to encourage inter-faith dialogue in the UK and overseas and regularly visits different faith communities. Prince Qaidjoher Ezzuddin, the son of the Dawoodi Bohra's leader, praised The Prince in a speech to the gathered people in the mosque in Northolt. "It is heart-warming for our community and all Muslims residing in the United Kingdom that the Heir to The Throne of the country they live in values their religion and traditions in the way you do. 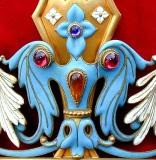 It is an inclusive and sincere approach, not born out of a political need or even a sense of responsibility as the future monarch, but a wish to seek out the best that the rich diversity of your subjects can offer." Their Royal Highnesses slipped off their footwear inside the building located close to a snow-covered park in the quiet suburban area of London. After being shown the large prayer hall in the mosque, The Prince and The Duchess were taken to a Madrasah based on the first floor of the mosque where young children are taught religious and cultural lessons two evenings a week and every Saturday. 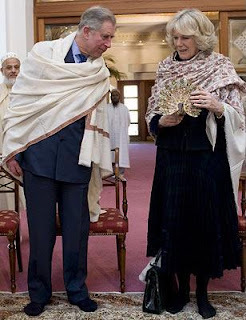 Before Their Royal Highnesses left they were presented with traditional shawls made from wool and cotton which were draped around their shoulders. The Prince was also presented with a traditional cap called a topi. Wearing the garment, The Prince stood up to speak and said: "I suspect it's no coincidence that members of your community are among the most successful businessmen and professionals in this country. But most importantly, I cannot applaud enough the invaluable example of your belief that patriotism is part of faith. This makes an enormous contribution to modern British society."